Categories: Care, Featured, and In The Media. Cancers were responsible for 18.1 million new cases and 9.6 million deaths in 2018. According to the World Health Organization, pain is experienced by 55% of patients undergoing anti-cancer treatment and by 66% of patients who have advanced, metastatic, or terminal disease. Much of this pain is avoidable and can be relieved through medicines and other treatments. Today is World Cancer Day. Each year on 4 February people across the world are called upon to show support, raise their collective voice, take personal action and press their governments to do more by taking action against cancer. This World Cancer Day marks the launch of a 3-year long campaign entitled: ‘I Am and I Will’. The campaign aims to encourage personal commitment and represents the power of individual actions taken in the present in order to impact the future. 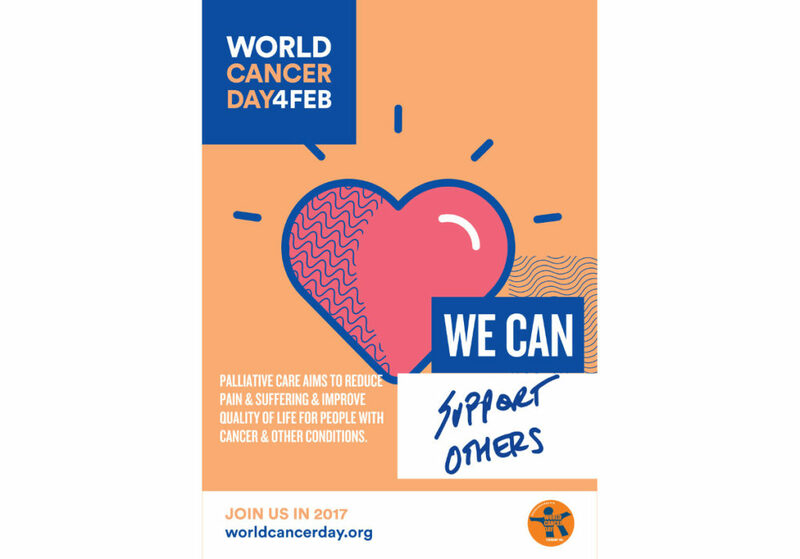 Find out what you can do to take personal action on the World Cancer Day website. 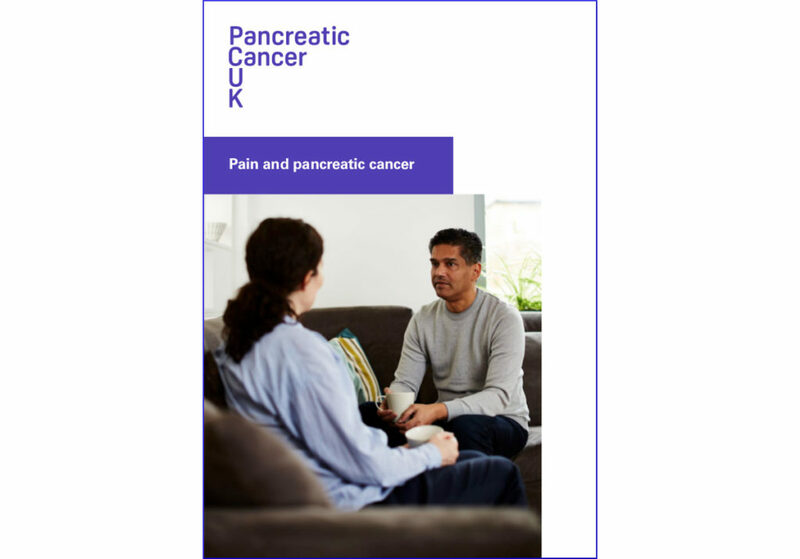 The WHO has developed Guidelines for the pharmacologic and radiotherapeutic management of cancer pain in adults and adolescents to provide evidence-based guidance to initiating and managing cancer pain. 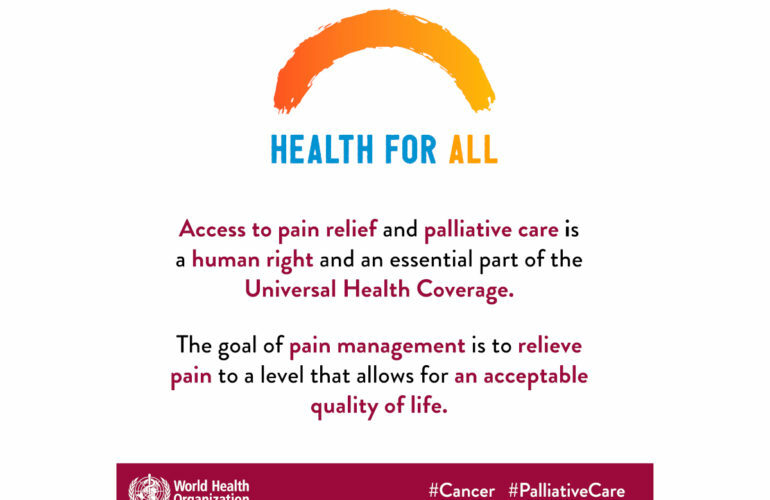 According to the WHO, the aims of these guidelines are to provide guidance to healthcare providers on the adequate relief of pain associated with cancer. They can also assist policy-makers, programme managers and public health personnel to create and facilitate appropriately balanced policies on opioids and prescribing regulations for effective and safe cancer pain management. The goal of cancer pain management is to relieve pain to a level that allows for an acceptable quality of life. 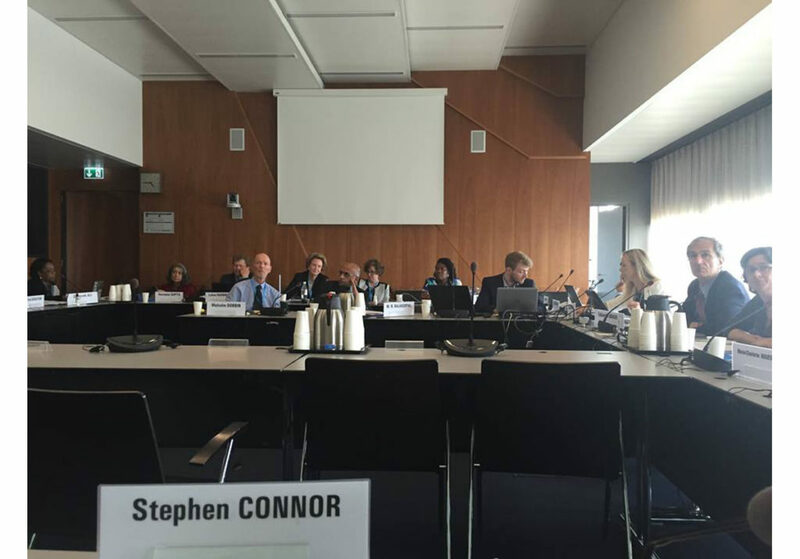 The last set of WHO guidelines focused on cancer pain management were issued in 1996. Analgesia of cancer pain: This addresses the choice of analgesic medicine when initiating pain relief and the choice of opioid for maintenance of pain relief, including optimisation of rescue medication, route of administration, and opioid rotation and cessation. Adjuvant medicines for cancer pain: This includes the use of steroids, antidepressants and anticonvulsants as adjuvant medicines. Management of pain related to bone metastases: This incorporates the use of bisphosphonates and radiotherapy to manage bone metastases. 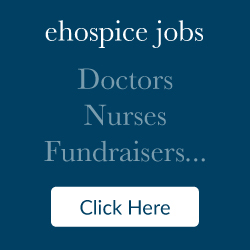 Dr Helena Davies, a person accessing palliative care and direct stakeholder trustee of the Worldwide Hospice Palliative Care Alliance, said: “As a patient reading the guidelines, I felt that my perspective had been taken into account by the panel of professionals writing the document. “Although there are many valuable aspects of the report, the recognition of two particular issues were highlights for me; the need to make palliative care an essential part of every universal health coverage programme, and intervention with palliative care as early as possible in the disease process in order to optimise its benefit. You can download the Guidelines, including data annexes and infographics from the WHO website.